Volunteer Interpreters Wanted for Asia Masters Athletics Championships! Kitakami International Assembly Hall seeks volunteer interpreters for “The 18th Asia Masters Athletics Championships” to be held in Kitakami from September 19th to 23rd in 2014. Anyone who is fluent in both Japanese and English or any other Asian language, or multilingual can register. 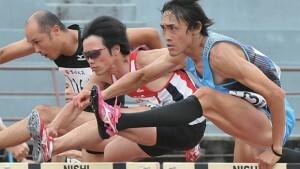 In the Asia Masters Athletics Championships, athletes aged 35 and above can participate. Last year, the 17th Championships were held in Taipei, Taiwan, with the participation of athletes from 18 countries of 25 affiliate countries. In the next year’s championships, athletes, council members, and related parties from 45 affiliate countries (*) will gather in Kitakami. We hope that this Kitakami Championships will be a good opportunity for many people to learn the beauty of Kitakami and will be memorable for all the people who will be involved. Let’s give a boost to this event together! We need information about signs in Kitakami that are not easily understandable to foreign residents not familiar with Japanese language. If you have any opinions on improvement or comments, please e-mail us with the photos of the signs and location so appropriate action can be taken. We also seek a few non-Japanese residents who could join us for field investigations. Please e-mail us if you have some time to spare to assist us in this field project. Since a new residence management system has started on July 9th 2012, every mid- and long-term non-Japanese resident is expected to live in the same manner as other Japanese residents. However, there are many non-Japanese residents who suffer inconvenience from living in Kitakami surrounded by signs written only in Japanese in various areas of daily life. Therefore, we will investigate the current situation by searching as many places as possible to locate the existing signs, discuss and indicate an area for improvement, create and provide a specific proposal for multilingual description. If the description is friendly to non-Japanese residents in Kitakami, it is clearly friendly also to non-Japanese visitors from outside the city. We will subsequently compile a report based on the result above. Furthermore, upon this report, we will encourage the local government and companies to systematically work on multilingual description of signs and pamphlets, in order to realize the town development which is friendly to non-Japanese residents. 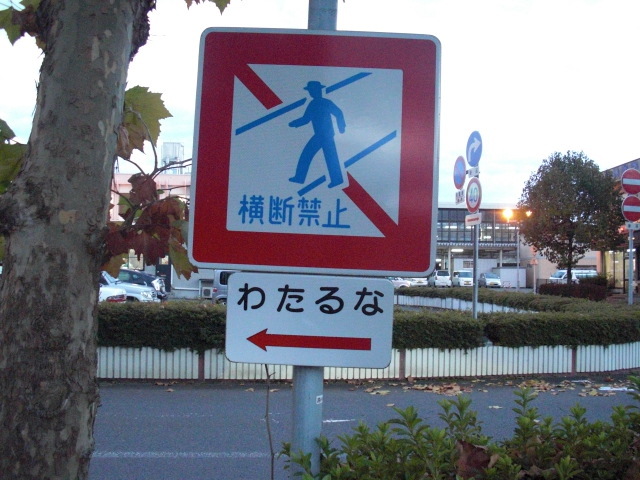 We investigate whether the direction boards, signs, pamphlets, guidebooks are written in a comprehensible way for non-Japanese residents, by category such as going to a hospital, eating out, using a public facility, etc. In addition, we also investigate tourist facilities and guide signs in the city for visitors from outside the city. Through workshops based on the investigation results, non-Japanese residents, volunteers and staffs will discuss whether the signs are comprehensible to non-Japanese residents and examine how the current signs should be changed or how new signs should be designed in order to improve the lives of foreign residents and visitors. We will organize lectures and courses for citizens, workers at public offices such as city office or hospitals, drivers and crews of transportation such as buses or taxis, sales personnel of commercial facilities, in order to let them recognize the necessity of multicultural understanding and multilingual description. Through the field investigations and workshops, we will draft a concrete proposal for multilingual description of signs and pamphlets which is comprehensible to non-Japanese residents in Kitakami and non-Japanese visitors from outside Kitakami, explain it to local government and companies, and propose town development which is friendly to non-Japanese people. As a second step, based on the report above, we will encourage the local government and companies to systematically work on multilingual description of signs and pamphlets, in order to realize town development which is friendly to non-Japanese residents.